Volkswagen is running a series of three television commercials promoting Side Assist technology. 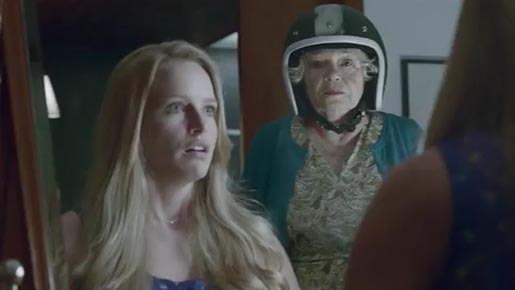 “Closet”, “Bathroom” and “Living Room” use suspense to represent the shock experienced by motorists when a truckie or scooter lady suddenly appears in their side mirrors. With the Side Assist Warning feature on the Touareg, drivers are spared the shock. The Truckie Warnings campaign was developed at AlmapBBDO, Sao Paulo, by general creative directors Marcello Serpa, Luiz Sanches, creative directors Renato Simões, Marcos Medeiros, André Kassu, Bruno Prosperi, creatives Marcelo Nogueira, Benjamin Yung Jr., Pedro Rosa, agency producers Vera Jacinto, Rafael Motta, account supervisors Gustavo Burnier, Filipe Bartholomeu, José Lopes, Isabela Crepaldi, Johana Quintana, Isabella Franco, planners Cintia Gonçalves, Sergio Katz, media team Paulo Camossa, Brian Cody, Fábio Urbanas, working with Volkswagen marketing team Artur Martins, Tiago Lara and Ana Paula Lobão. Filming was shot by director Dulcídio Caldeira via Paranoid BR. Music was produced at A9 Audio.